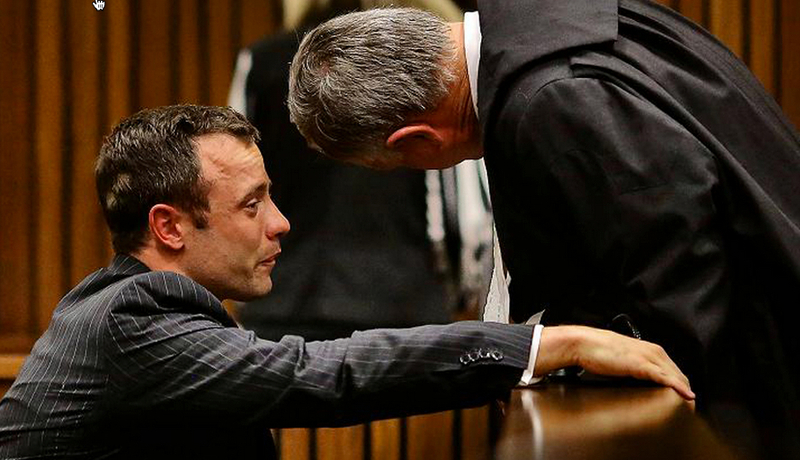 Oscar Pistorius: killer lies. Will this little detail nail him for murder? This thought-provoking piece by Ros Godlovitch Chappell is a fascinating view on a major point in The Oscar Pistorius Trial. I have observed much of the proceedings and I myself, have wondered about this issue. Ros Godlovitch, an Oxford Academic, paints a stark picture of what, in her view may be the ‘smoking gun’ in this case. 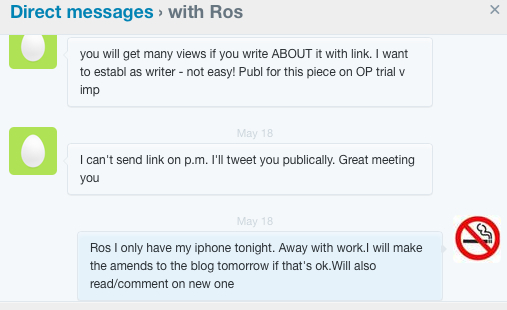 Ros has been in contact with the State Prosecution team to offer her view. 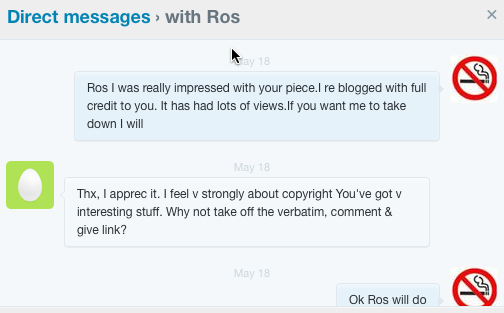 @Roschappell who wrote this piece is getting ‘out of shape’ because I re blogged her article. She contacted me to ask me to make amendments to it which I did. She asked me to use her link and to make comments which I did. Now she is telling the Twitterati that she has been wronged. 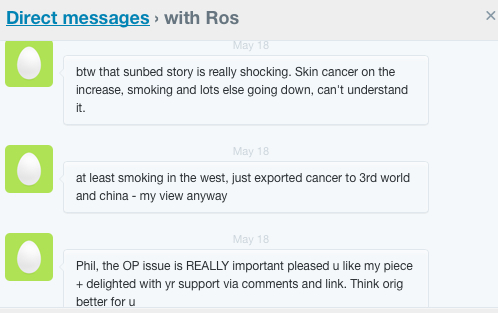 For the record, here is the conversation, lest it be perceived that she was being ignored by me. 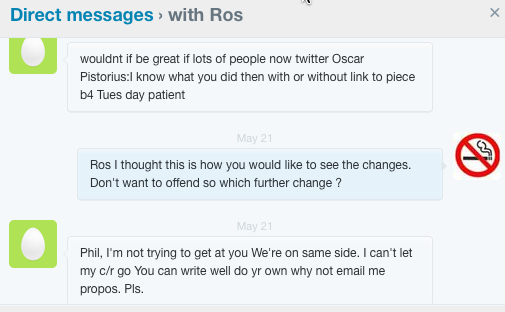 If you get into a discussion with Ros, be careful you dont write anything that sounds like hers. 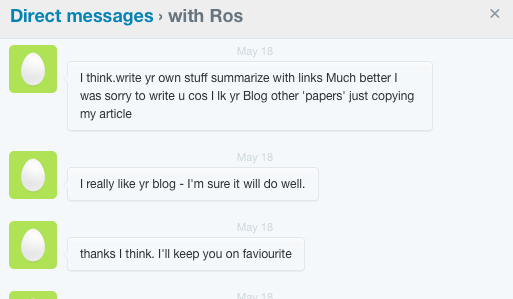 Thanks for an adult conversation Ros. Another question, if he had that mental disorder that they said he had and told the court with this disorder ge would be extra visuallent then why didn’t he nitica Reva wasn’t in the bed, surely would be able to see a bump in the bed if someone would be in it. Oscars testimony about where Reeva was on that night is clearly going to cause him some difficulty. No reasonable person professing to care for someone, in the face of the threat OP thought was present on the night (intruders), would not take the time to reassure them and to ask if they too heard anything. Every witness that heard sounds on that night, in whatever time frame, said the same. They checked with their partners to see if they too heard the sounds. This is an entirely normal thing to do if one was concerned for a loved ones safety. After all’ Oscar said his prime motive was to ‘protect Reeva’. It is inconceivable that OP did not check in with her. It is equally inconceivable that Reeva would go through that whole experience (Oscars version of events) without uttering a single word or sound. Only the fans of OP believe this could be the case. In the summing up of the case, it will be very interesting to see how this aspect is dealt with. Please leave more comments as you see fit.